Colorful boats reflect in Reykjavik Harbor in Iceland's capital city. Iceland is home to 350,000 people, about 200,000 of which live in the Reykjavik area. 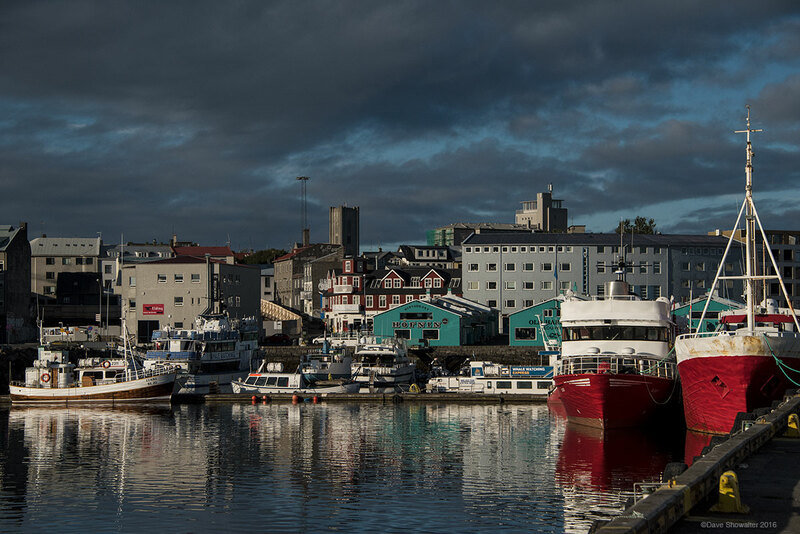 Established in 874 AD, Reykjavik became a trading town in 1786 that continues to grow today. Reykjavik is one of the safest, greenest, and cleanest cities in the world. Roughly 1.7 million tourists visit Reykjavik, as they disperse throughout Iceland. . Photo © copyright by Dave Showalter.